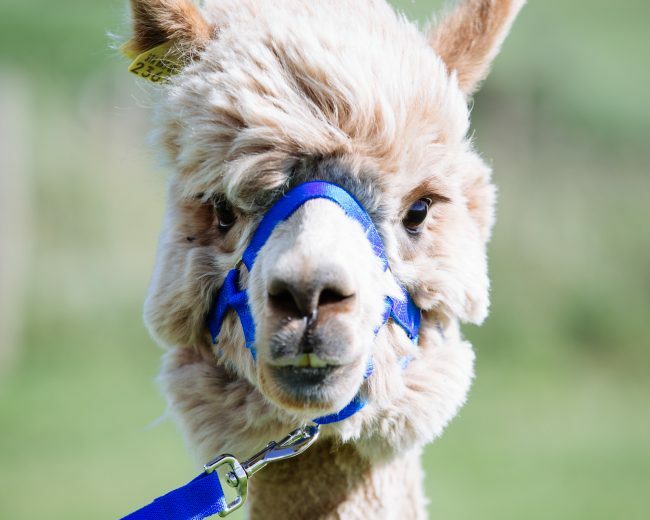 Ned is the oldest of our alpacas, originating from the Stagshaw herd in Northumberland in his youth he won prizes for his fleece at the Northumberland show. His best friend is Iain who came with him from Northumberland and he gets very upset when separated from him (even though Iain does not always share the same sentiments!). Ned has a fine fleece which is classed as fawn in colour. Although very keen on his food Ned will not eat out of your hand. But… place a bucket in front of him and the contents will be gone before you know it!